We got some done over the weekend and this evening, but nothing really to brag about. We got the engine bay steam cleaned. 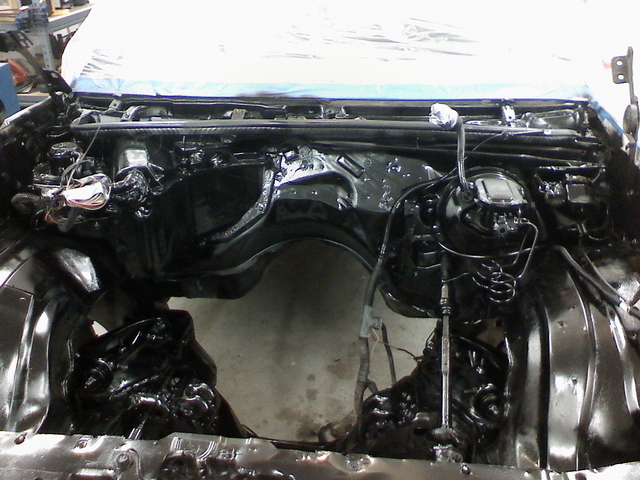 We have put one coat of paint on the engine bay, and need to put one more. 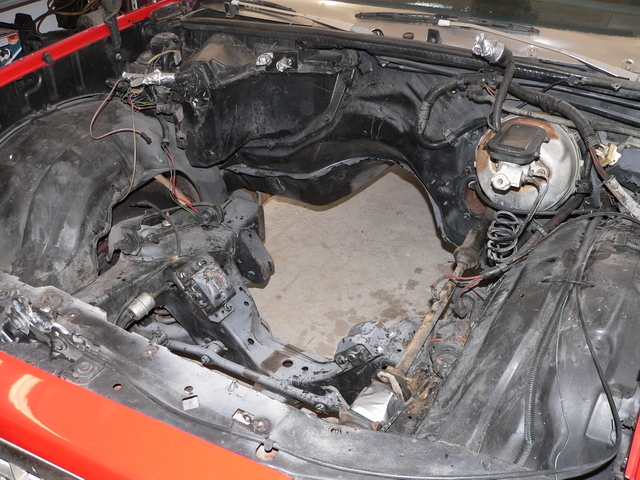 Since it's going to be my son's daily driver, I didn't go all-out on the clean-up and detailing of the engine bay. But, it will look a heck of a lot better than before. My Son was proud of it nonetheless. OK, that's it for this time. I debated on whether to even post this, since it's really not much to post about. 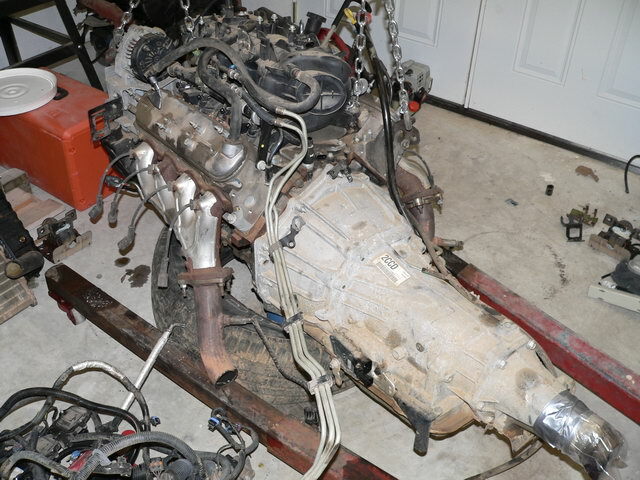 Plan for this week: Dropping the motor in place to see where we might have clearance issues. I'm afraid that we're going to see some problems, but I guess that's all part of the project. Cleaning and paint is progress in my book! Keep it comin'! that bay looks killer now! even after pressure cleaning, it looked great!nice job. btw, we love pics. Cool stuff Phillip. I personally like the updates no matter how small. Makes me anxious to get back out in the garage and play with the car when it warms up! Everything looks great. Wouldnt it have been better to wait until you had any clearancing done to paint everything? I suppose you can just touch everything up once that is complete. Nonetheless, keep up the good work. Man, did you have to bring that up??!! 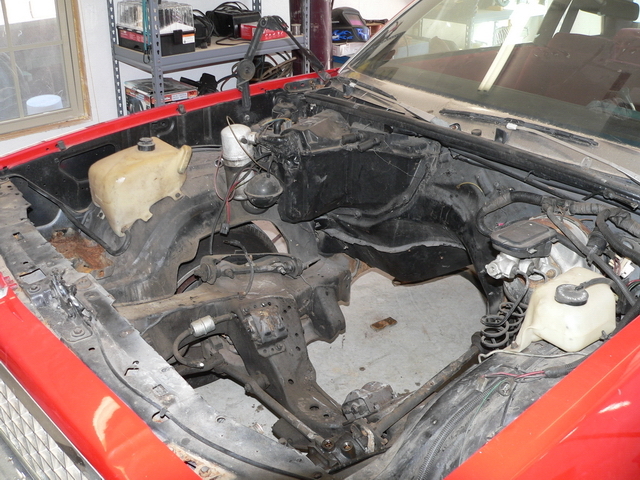 You're probably right, I should have waited, but I'm hoping the only place that will need clearancing is the frame rail or crossmember where the A/C compressor is going to be. It should be a pretty small area. I think everything else should be fine, judging by other swaps that I have been reading about. yea, and i had plans to hang all kinds of plastic, wet the floor install vent fans, etc. when i sprayed my bu. got the paint home and started mixing! but there's your header panel incase you didn't see it. If it were for me, I'd swap it. My son is happy, so I'm happy. Bay looks good, just krylon, did you prep it much? Im still debating body color vs black, but that looks good. Really, not much prep. 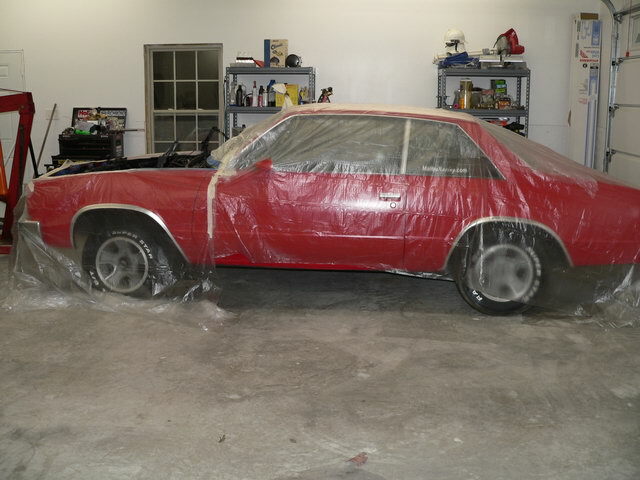 I sprayed it down with engine degreaser, steam cleaned it, then I used scotch-brite type pads on everything I could get to, then used laquer thinner to clean everything before spraying with glossy black engine rattle can paint. Not perfect, but it looks pretty good. Like I said, it's going to be a daily driver, so I'm not trying to get a show car quality finish. But, both my son and I are happy with the results. 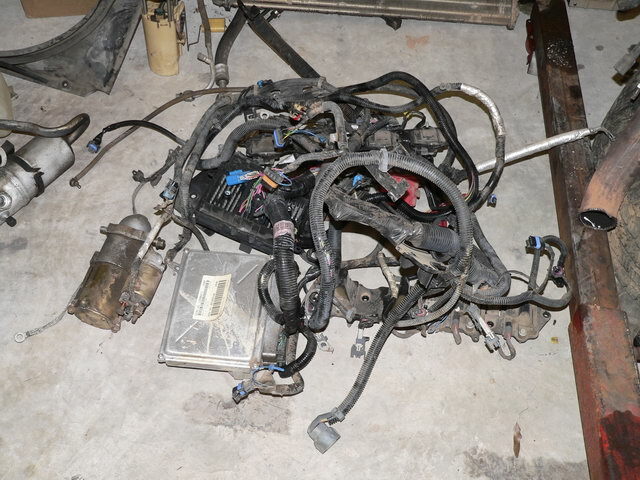 Thats how me and my dad did it when I rebuilt my motor, turned out just like yours...looks great byt he way. I just spent a few days cleaning and then sprayed it, and the underside of the hood. I also added some foil backed heat shielding to the hood, maybe something to think about the factory stuff looks kinda grungy usually.